4 & 5. I really enjoyed the Vive Soy Cappuccino drink so picked up the Vanilla and Chocolate versions. Unfortunately, these are very sweet and that's coming from someone who has a sweet tooth. I prefer the Alpro equivalents. 6 & 7. 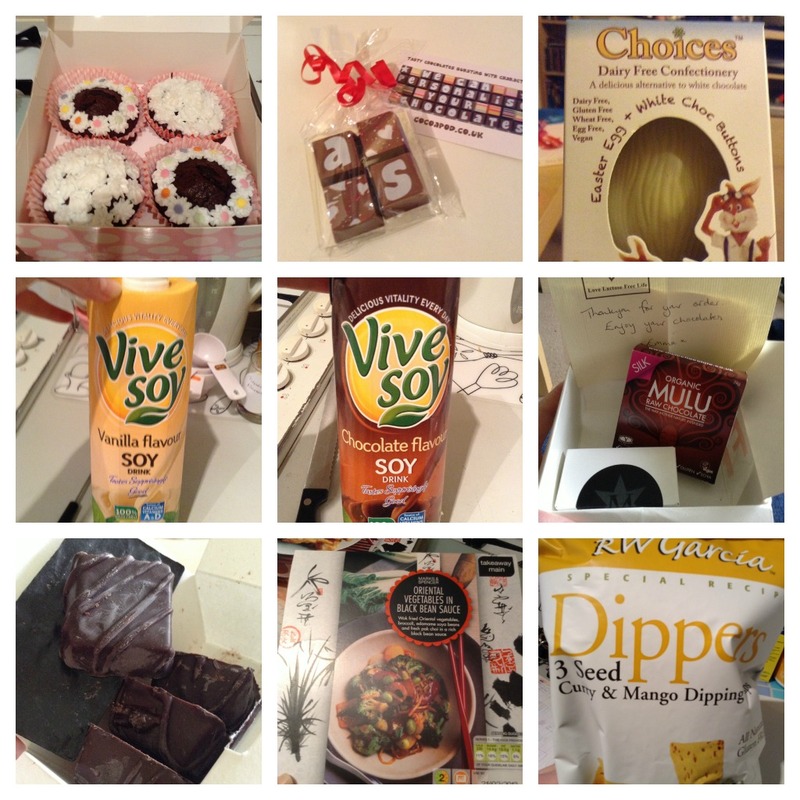 I brought some dairy free treats from lovelactosefreelife.co.uk. I personally haven't enjoyed the flavour of the Silk Mulu Raw Chocolate but really liked the Montezuma's Moondance Truffles. 8. M&S currently has a meal deal on their takeaway ready meals. Normally I can't find anything suitable for me but I scored with Oriental Vegetables in Black Bean Sauce. Very enjoyable and I would buy again. I have one complaint about M&S Vegetable Spring Rolls as they contain milk. I find this very unusual, it is not a dish I normally struggle to eat. 9. You may recognise the RW Garcia Dippers from another post. However, my Tesco is now stocking Curry & Mango flavour so that makes 3 varieties to choose from.